Middlesex report finds Project Guardian one of the most comprehensive programmes aimed at reducing sexual behaviour on public transport in the world. Increased levels of visible staffing, 24/7 monitoring of CCTV, personal request stops on buses and increased public awareness of safety initiatives are just some of the recommendations put forward by Middlesex University researchers in a report looking at reducing sexual offences and harassment on public transport. 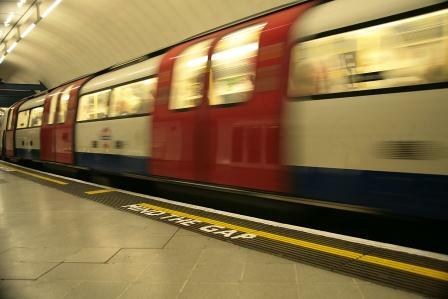 In the report, co-commissioned by Department for Transport and British Transport Police, researchers from Forensic Psychological Services based at Middlesex University looked at initiatives and schemes used around the world to reduce sexual offending, and detail a number of recommendations for government, police and transport agencies to implement. The proposals include higher visibility of staffing and policing on trains and at stations, which has been rated by women as one of the most desirable measures in reducing unwanted sexual offending, and 24/7 monitoring of CCTV. It also recommends piloting a 'personal stop' scheme for buses in certain areas to test how workable, popular and effective they would and involving more women in the design and planning of transport services. Although commonly used across the Mexico City subway, as well as in some parts of Asia, women-only carriages were discouraged as they were essentially short term fixes, reinforcing a message that women must be segregated and contained in order to protect them. The report, ''What works' in reducing sexual harassment and sexual offences on public transport nationally and internationally: A rapid evidence assessment', has been published to advise policy makers and train operating companies of what other schemes worldwide have been put in place to reduce sexual offending on public transport. The research was led by Associate Professors in Forensic Psychology Dr Jacqueline Gray and Dr Miranda Horvath. Dr Gray said: "The impact of sexual harassment and offences on public transport sadly has repercussions for victims and society whenever they occur. Amongst victims the effects can cause an increase in post-traumatic stress disorder, changes in self-esteem and heightened perceptions of vulnerability." Researchers recognised Project Guardian, a joint initiative between British Transport Police, Metropolitan Police, City of London Police and Transport for London, as one of the most comprehensive programmes aimed at reducing unwanted sexual behaviour on public transport in the world. Dr Gray added: "We have seen how much work and effort has gone on across London by those agencies involved, as well as their work with organisations such as The Everyday Sexism Project, founded by campaigner Laura Bates, to highlight reporting crime and increasing safety awareness."